Harry's first book was a children's book. 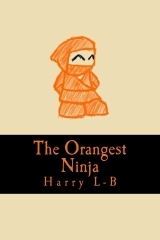 The Orangest Ninja combines the awesomeness of deadly ninjas, and the brilliance of the color orange. 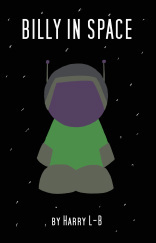 Harry's first novel Billy in Space has everything: space, spaceships, spacemen, space aliens, space pirates and doors! It mixes laugh out loud funny with space action adventure. There's a Body in My Basement and Dale's Tail's Tale are both fully illustrated poems about citizens of the weird and dangerous fictional town known as Secret Village. Many of the other short works Harry posts take place there. These are both fairly old, so please excuse the art. He's gotten better.